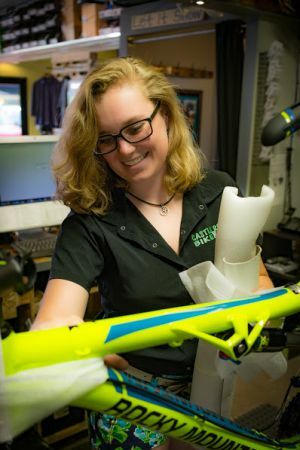 The quality of the goods and products offered by Castle Rock Bike & Ski are matched only by our high standards of service. We professionally service and repair every make and model of bicycle. All estimates are free so we urge you to come in and let us assess what's going on with your bicycle. We'll discuss what needs to be done and you will know what you're getting into before you leave the store.